The Barbour Cragg Boot Sock Olive Mix from the Active Socks collection. 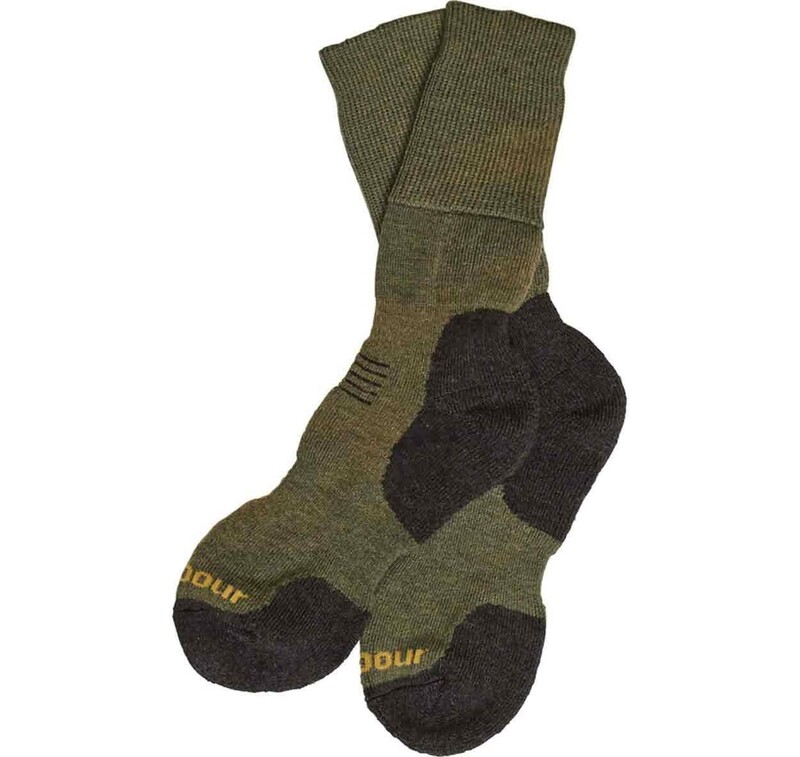 Technical wool rich walking sock produced in the UK. Terry loop padding on sole with foot grip. 42% Wool / 42% Polypropylene/ 15%. Polyamide / 1% Elastane. Jacquard Barbour logo.